Royal on the Park Hotel and Suites is one of the city’s most iconic hotels. 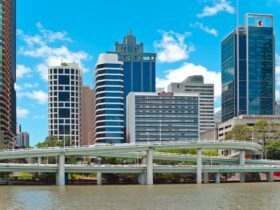 In the heart of the Central Business District, nestled between the stunning City Botanic Gardens and breathtaking Brisbane River, Royal on the Park offers city convenience with a peaceful escape. 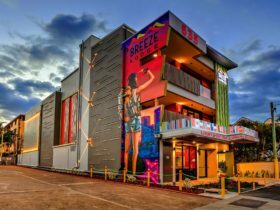 A short stroll to the Eagle Street Pier Precinct and Queen Street Mall, and easy access to The Gabba, Suncorp Stadium, Treasury Casino, QPAC and the bustling Southbank precinct, you’ll be perfectly positioned to take full advantage of all that Brisbane has to offer! 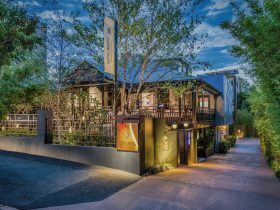 As their guest, enjoy the hotel’s one-of-a-kind views over the City Botanic Gardens that provide a backdrop like no other and offer guests a tranquil retreat in the heart of the Brisbane Central Business District that other hotels simply can’t offer. All rooms at Royal on the Park Hotel and Suites feature complimentary unlimited high-speed Wi-Fi and modern amenities including a minibar, hairdryer, iron, ironing board, high definition LCD television, espresso coffee machine, ergonomic workspace and a digital safe. Warm colours, classical design and natural light make your room a city-centre haven. Find out why guests return year after year to a destination that has become a home away from home. 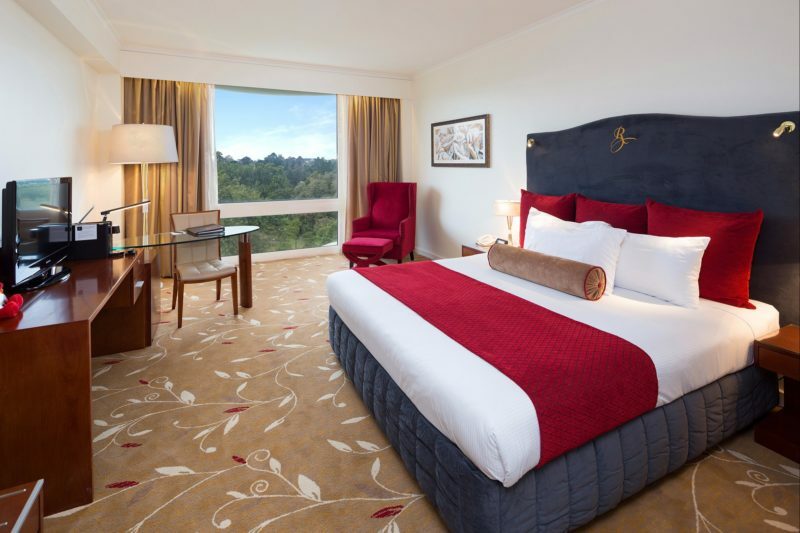 Positioned on every floor of the hotel, each newly refurbished Deluxe Room, with spacious surroundings and views of either the picturesque Botanic Gardens or Brisbane city, offers all features you need to make your stay a comfortable one. 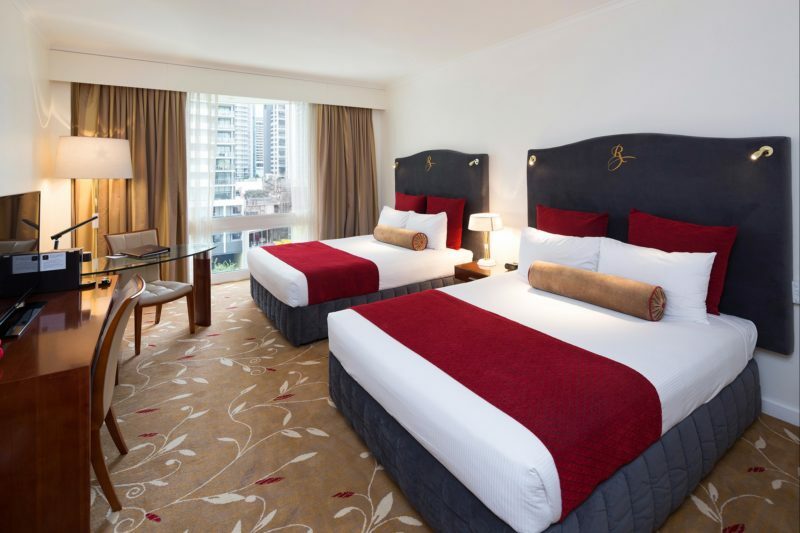 The 145 Deluxe Rooms feature a king or two queen size beds and a dedicated well-lit area for business. Sophisticated classic design featuring double glazed floor to ceiling windows offering natural light with either city or park views, 40 inch LCD Television, espresso machine, mini bar, in-room safe, en-suite bathroom with shower over bath, KEYPR room service tablet and unlimited free WiFi. 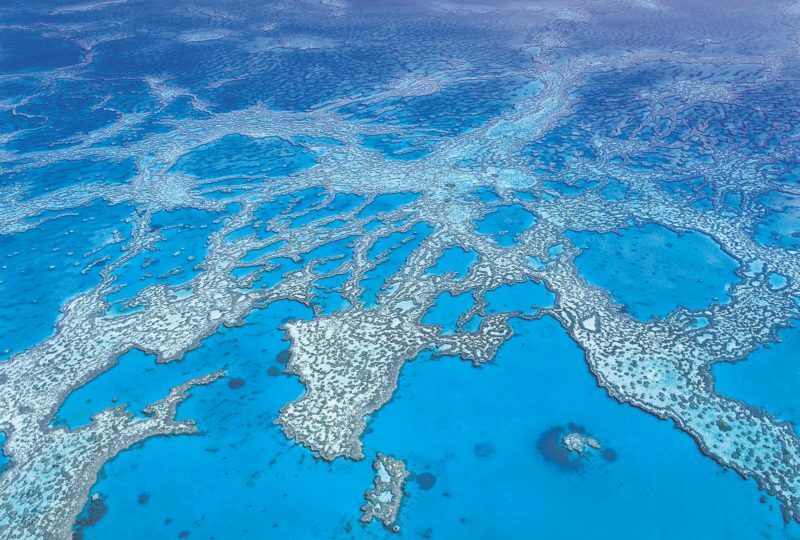 Rooms are 28 square metres in size. These spacious rooms are ideal for the individual traveler, couple or families with up to two children. Indulge with premium comfort inclusions such as luxurious Metis amenities, a bathrobe and slippers, two complimentary drink vouchers, cookies and bottled water. Relax on either a King bed or two Queens with King Koil ultra-plush pillow top mattresses. 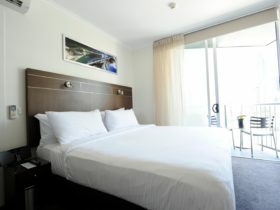 Along with the sophisticated classic design, all premium rooms consist of double glazed floor to ceiling windows offering natural light overlooking the City Botanic Gardens, 40 inch LCD television, espresso machine, mini bar, in room safe, KEYPR in-room service tablet, unlimited free Wi-Fi and 28 square metres of room. Indulge in this exquisitely appointed one bedroom suite with separate dining and lounge area offering views of the city and botanical gardens. This suite features a king sized bed, en-suite bathroom with walk in shower, second bathroom with a corner spa, deluxe bathroom amenities, fluffy robes and slippers. The suites are equipped with wood furnished dining seating for four, a stereo system, dual mini bar fridges and espresso coffee machine, to ensure all your creature comforts are met. Also included is a complimentary turn down service, KEYPR in-room service tablet and unlimited free Wi-Fi. This room is a spacious 64 square metres in size. 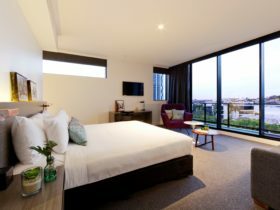 Unwind in the corner spa, and bask in the City Botanic Gardens and Brisbane City skyline views, or tune in to your favourite movie on the large LCD television. 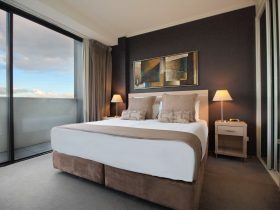 Enjoy complimentary a bottle of French Champagne upon arrival whilst staying in their elegantly appointed one bedroom suite located on the top floor with separate dining and lounge area for six to eight people offering panoramic views of the City Botanical Gardens . This suite features a king size bed, walk-in wardrobe, robes and slippers, suit press, powder room, en-suite bathroom with walk-in shower and corner spa and deluxe bathroom amenities. Also equipped with a stereo system, dual mini bar fridges and espresso machine, complimentary turn down service, KEYPR in-room service tablet and unlimited free WiFi. The Suite is a very spacious 84 square metres.